101 St. Andrews Drive Williamsburg, Virginia. 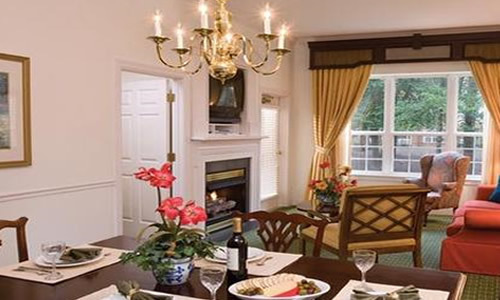 Located in a large and beutiful community near colonial Williamsburg, Virginia, guests at Manor Club at Fords Colony Sequel can enjoy esquisite dining or make use of the relaxing 54 holes of golf nestled in the picturesque landscape. 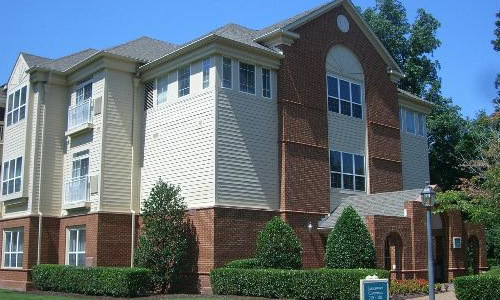 Williamsburg itself is located approximately 200 miles south of Washington DC and is rich with history. Williamsburg is the restored historic area of the city. Along with nearby Jamestown where the first colonial settlement was founded in 1607 and Yorktown where the British surrendered at the end of the War of Independence in 1701, these 3 areas form a hub known as the historic triangle. 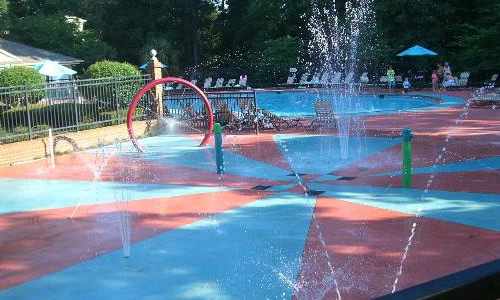 Other local attractions include Busch Gardens, a theme park and prime outlets for shopping. Virginia beach is also only an hour and half drive away. Apartments at this resort overlook the golf course and the beautiful gardens. All apartments are spacious and furnished to a high standard.